As part of the Subism team I helped organise the Subism Glug Networking events in Nottingham & London. 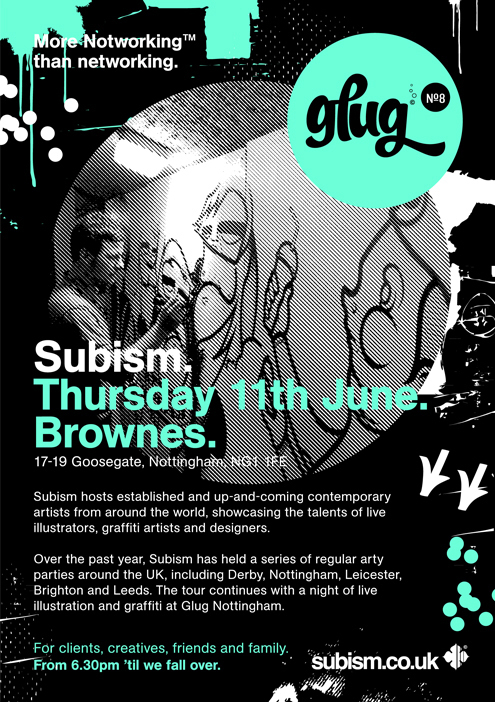 Glug #8 at Brownes Nottingham – Subism hosted a gallery & live drawing. Glug #11 at The Queen of Hoxton – Subism arranged illustrators to work on the stairwell walls and upstairs on the roof.